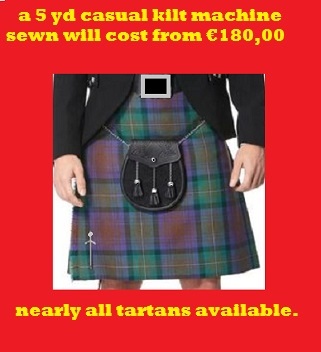 a 5 yd casual kilt made from 11oz or 13 oz Tartan 100 % wool in the best quality available. Various tartans. Hand made casuals also available please ask for a price.